Will You Be Hit By His Arrow? 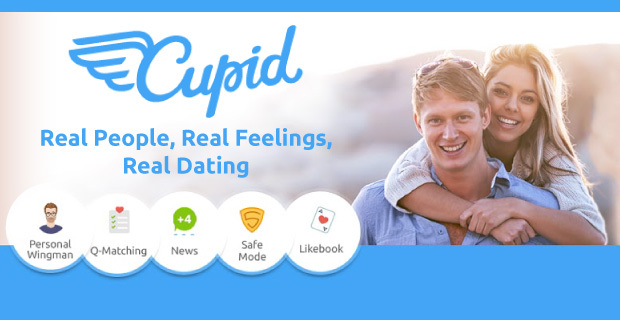 The online dating platform, Cupid.com, launched in 2002. Their targeted markets are located in the UK, the United States, Australia and Canada. The website has over 8 million users to date. Cupid.com emphasizes the importance of putting in personal effort over solely relying on scientific calculations that other online dating websites tend to use. They focus on helping you connect with singles in your local area. 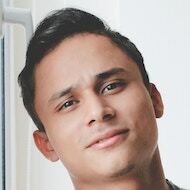 The website has innovative matchmaking techniques and full smartphone support. Members can choose to have a free or a paid subscription. But a unique addition is that a member can buy perks and profile boosts to gain more exposure on the website. You can easily sign up to Cupid.com within a few minutes. The website will ask you to for your gender, date of birth, personal interests, location, preferences, a valid e-mail address, and password. Then you will receive an e-mail to verify that you are a valid user. After you log in, you will be able to choose a screen name, upload pictures and give more details about you. The quiz section of Cupid.com gives members more specific and unique information about yourself. Cupid.com is easy to use and learn. You can browse through the website using a navigation bar that enables you to quickly click through features like feed, search, likebook, and messages. 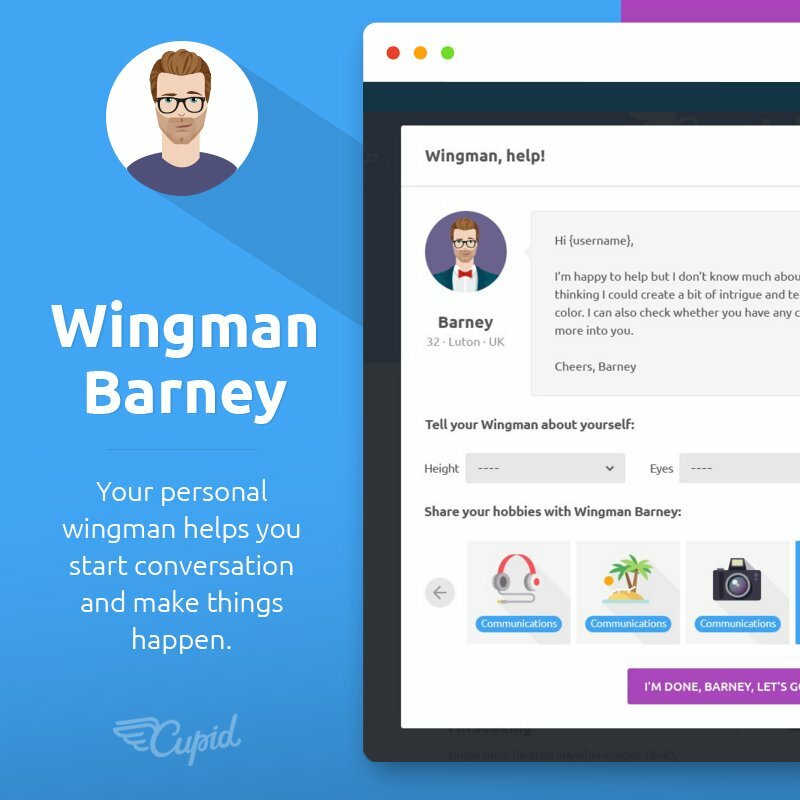 Each section is easy to understand, but if you need help, you can always turn to the automated personal assistant built into the site called Wingman Barney. There are many ways to communicate with other members. There’s the standard option to browse through a list of popular results or a list defined by search parameters (like activity or distance for example).You can send private messages to their inbox or instant chat, you can send a “wink” or use the audio and video chat. The many forums and chat rooms give you a chance to get to know other members by discussing different topics. These topics include dating, relationships, music, movies and much more. There’s a vast range of profile options on Cupid.com and this will most likely increase your chances of finding love. When browsing to check out other members’ profiles, make sure to use the “Special 7” and “Daily Top” features which suggest possible matches for you and send them to your private inbox. You can boost your popularity and visibility on the website by purchasing bonuses or adding a catchy message. Send a “multiflirt” to many members all at once, to show that you are interested in them. Except adding your biography and pictures, you can also include webcam recordings of yourself and rate your character traits on a scale of 1 to 10. When you fill in a quiz, you may receive a recommendation of a member who gave the same reply. You can also see the number of matching answers on someone else’s profile. The “Q-Match” function makes things easier for you and matches you up with members who gave similar responses. A feature that is not found on other online dating websites is Wingman Barney. He’ll contact your potential match and give them more information about you. This match has to give a direct reply and so you’ll know the answer soon enough without getting too embarrassed. Cupid.com offers a nicely designed guide to staying safe on their website. Most of the tips are fairly obvious, but they wouldn’t be sharing them if these things didn’t happen often. The service is conscientious about keeping user data safe and claims that all deleted profiles are completely removed from their system after a nine-month period. Cupid.com is pretty usable without a premium membership, but if you want access to features like free communication, seeing who liked and visited you, unlimited photo views, safe mode, and unlimited Wingman Barney help, you will be required to pay up. The service has some interesting plans available, including the ability to sign up for three days. This costs just £2.97 and is a great way to figure out if the service is adequate for your needs. You can also opt for a one month plan for £23.99, a three-month plan for £20.79 per month, or a half-year plan for £15.99 per month. The company offers plenty of opportunities for finding promo codes, so keep an eye out. Cupid.com is a good option with an easy to use layout, good features, and an affordable premium plan. The three-day plan is especially compelling. I recommend Cupid.com for anyone looking to meet that special someone online.